In every home, a clean carpet makes a difference in the visual appearance of the house. It is very important to know that a regular carpet cleaning helps you avoid health problems by eliminating the quantity of dust, and destroying bacteria, but also extends the life of the carpet. Benefits of a regular professional cleaning keep a clean carpet with a neutral pH. A neutral pH ensures that the texture and color are not affected, and, also, ensures the health of your home and family. Our company Affordable Cleaning Services provides high quality carpet cleaning service using professional cleaning equipments and solutions supply by Prochem. The technicians we provide are highly motivated, and they are using the hot water extraction method in carpet cleaning and stain removal procedures. 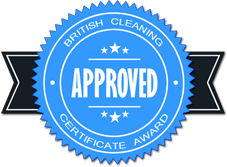 With our professional carpet cleaning methods we want to ensure that your carpets keeps their adequate appearance and a proper cleaning every time you work with us.